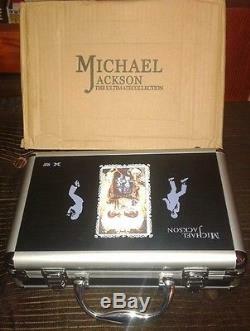 Michael jackson rare case and its original carton box. 32 dvd ntsc and 1 cd mlp3 of 97 songs. Ultra mega rare box set. Include 32 dvd ntsc region 1 + 1 cd audio. 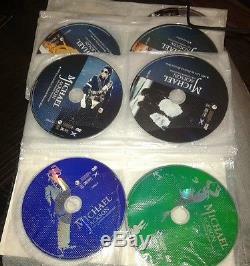 Disc 1 - 7 michael jackson: The ultimate mtv collection. Disc 8 Jackson 5: 1972 Paris France Concert; 1975 mexico concert; 1979 london uk destiny concert; 1981 triumph concert; destiny concert feature. Disc 9 1987 Brisbane Australia Bad Concert. Disc 10 1987 yokohama japan bad concert. 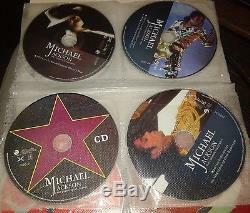 Disc 11 1988 usa bad concert. Disc 12 1992 live in Bucharest dangerous tour. 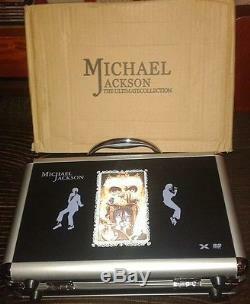 Disc 13 1993 live in israel dangerous tour; 1993 live in tokio dangerous tour; michael jackson dangerous tour feature. Disc 14 1996 live in sydney australia history tour. Disc 15 1996 live in manila filipina history tour. Disc 16 - 17 1996 live in seoul korea history tour. Disc 18 1996 live in romania history tour. 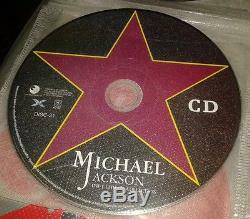 Disc 19 1997 live in new zealand history tour. Disc 20 1997 live in the finland history tour. Disc 21 1997 live in sweden Disc 22 1997 live copenhagen history tour. Disc 23 1998 live in kuala lumpur history tour. 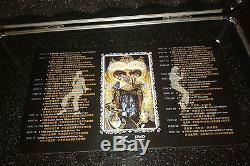 Disc 24 1999 live in taipei history report; live in korea aimsdeed tour. Disc 25 1997 live in Munich history tour. Disc 26 the one chinese subtitle; the 30th anniversary vocal concert. Disc 27 bad turn unleashed volume. Disc 28 bad trick 1988. Disc 29 the feature of stranger; captain eo. Disc 30 michael jackson mj rise and decline; the giant star of michael jackson come down. Disc 31 private home movies the king of pop up close & personal. Disc 33 1979 - 2008 the first recorded 97 songs. The item "sans coffret michael jackson malette 32 dvd 1 cd the ultimate collection" is on sale since Saturday, June 9, 2018. It is in the category "dvd, cinema \ dvd, blu-ray". The seller is "johnny04800" and is located in / in the absie. This item can be shipped to the following countries: united states, european union, switzerland, canada.